This isn't just an ordinary blue wallet. 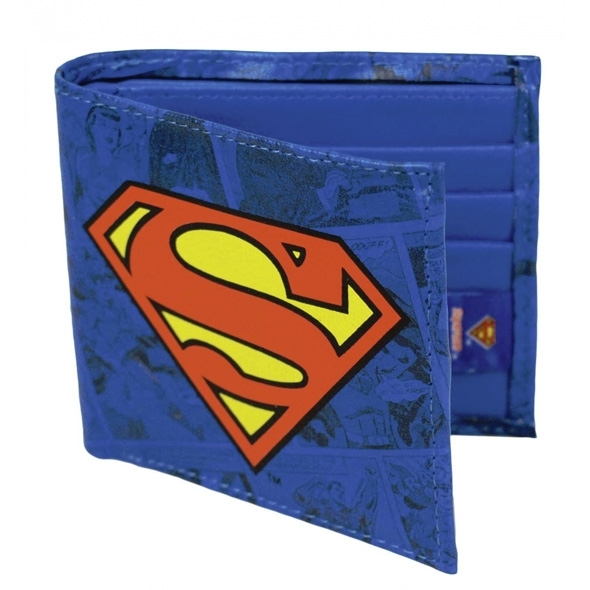 It's a blue wallet that's emblazoned with the ever-familiar Superman logo! This awesome accessory is ideal for keeping your cash, cards and coinage safe, and it will make you feel like the ultimate Man of Steel fan in the process. We're not sure Clark Kent is vain enough to carry a wallet bearing his own insignia, but if he were, we're pretty sure that the boxed Superman wallet from Gadget Inspector is he one he would choose! SInce this bright blue wallet comes in an attractive display box, we think it would make a fabulous birthday present or Christmas gift. If you know a die-hard comic book fan, or you're shopping for someone who is constantly losing their cash, the boxed Superman wallet is ideal. With the bold red-and-yellow logo on top of a cool comic-style backdrop, it's a very eye-catching product indeed! This incredible boxed wallet is an officially licensed piece of merchandise, so rest assured when giving it as a gift or popping it in a Christmas stocking you're getting the best quality Superman product. It features a super-cool faded comic book print on the leather if you look closely, so you can pick out your favourite Superman characters all the wallet. The cool comic strip design adds an authentic and unique look, making this amazing wallet stand out even further. We think this is the perfect gift idea for comic fans and Superman lovers, and would work perfectly as a stocking filler! 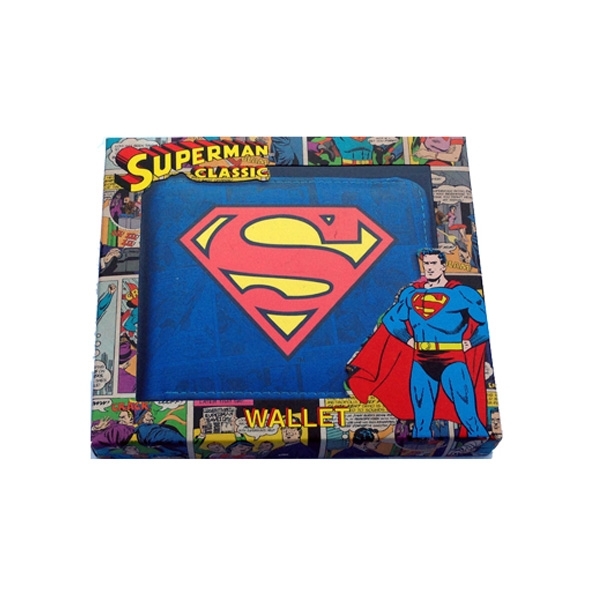 Super people deserve super accessories, and they don't come much more super than our boxed Superman wallet!